Grew Up… with parents who placed a very high premium on success. Cary attended a private prep school and Harvard, but approval doesn’t necessarily accompany a fancy diploma. Cary and his father, who is also a lawyer, don’t see eye-to-eye and aren’t very close. Living… somewhere in Chicago. But he basically lives at the office. Profession… new junior associate at the law firm of Stern, Lockhart, and Gardner. 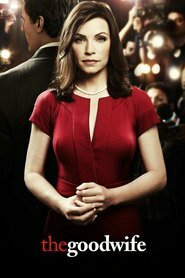 Cary is in competition with the other junior associate, Alicia Florrick, for the permanent position at the firm, which will be given to one of them after six months. Cary is a good researcher and an eager worker. He is more pragmatic but less intuitive than Alicia, typically willing to settle for a plea bargain rather than push for a verdict, as Alicia, in her principled way, often does. Interests… none. Junior associates at top law firms don’t have the luxury of “interests.” They’ll have to wait until Cary someday makes partner – hopefully. Relationship Status… bachelor. Cary is flirtatious with co-workers, secretaries, even rival lawyers. In-house investigator Kalinda Sharma gets some of this attention – which she shrugs off – though she is by no means the only person to experience Cary’s advances. His success rate isn’t that high, but it’s a numbers game. Personality… a go-getter. He’s a fair-haired, fast-track type of guy. He wants to win, but he’s not cutthroat. He tells Alicia, “It’s in my nature to be competitive, but I don’t want you to lose.” Cary has a good attitude, taking everything in stride. He smiles when he’s slighted. Even his grimace looks a lot like a grin. Cary Agos's popularity ranking on CharacTour is #3433 out of 5,000+ characters. See our top-ranked characters and read their profiles.